Entering into its fifth year Ironman Cozumel is largely typical of North American races. 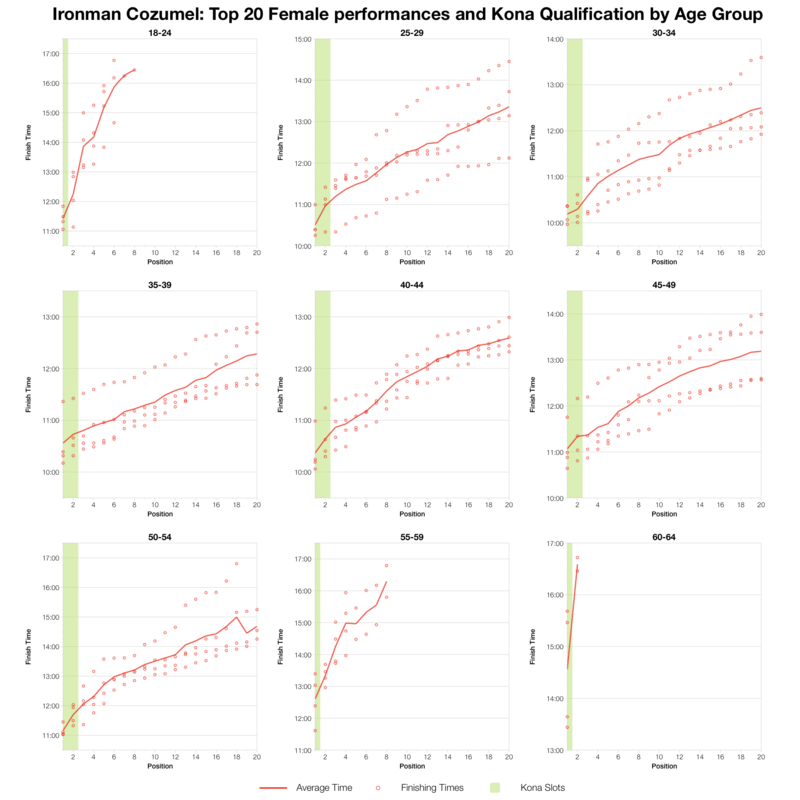 The major exception being last year’s swim which saw significantly slower swims than usual and a higher DNF level than we normally see. Expectations can easily be confounded by unusual conditions. 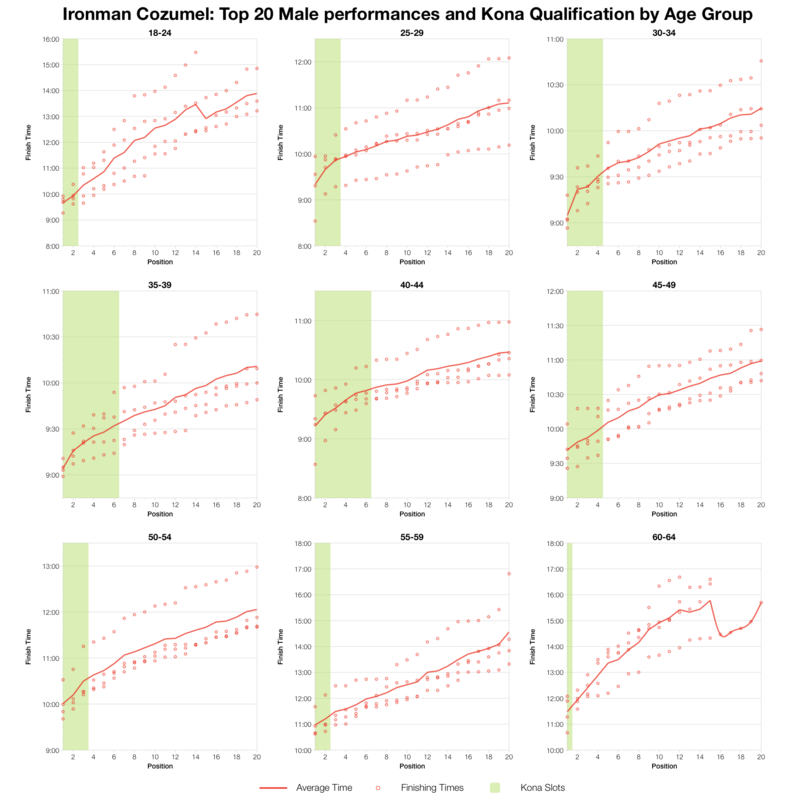 So while I look over the last 4 years of results to see what has been typical for the race it is worth bearing in mind that not all years are typical. 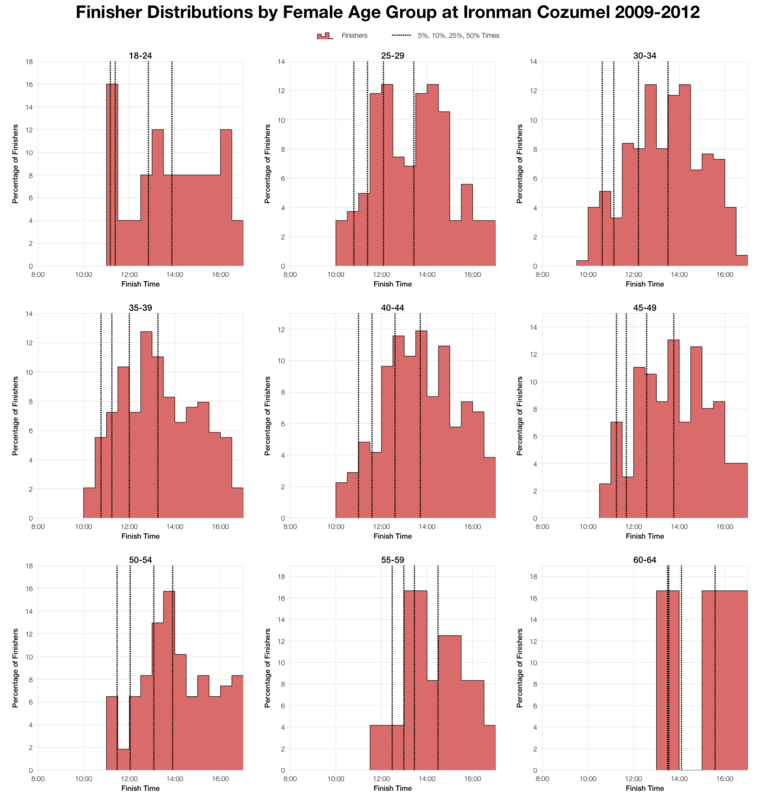 Placing the two sets of histograms side to side above the similarities are obvious. 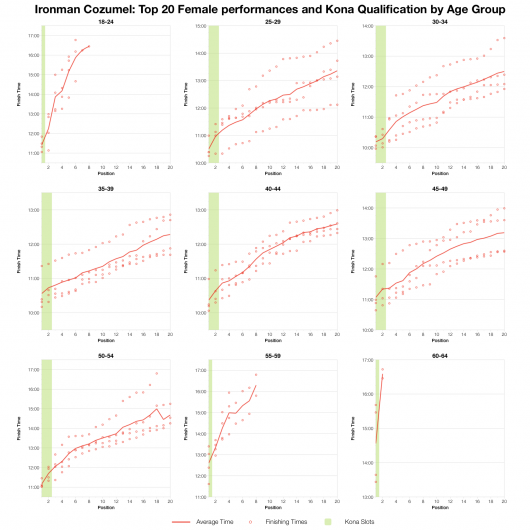 The significantly slower swim of 2012 is largely lost in the mix and in fact it would seem Cozumel may be a touch faster than its other North American counterparts. This is also true in the bike, run and overall splits. 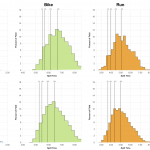 The differences appear a little more pronounced at the front-of-the-pack (based on the dotted percentile lines) than at the middle. 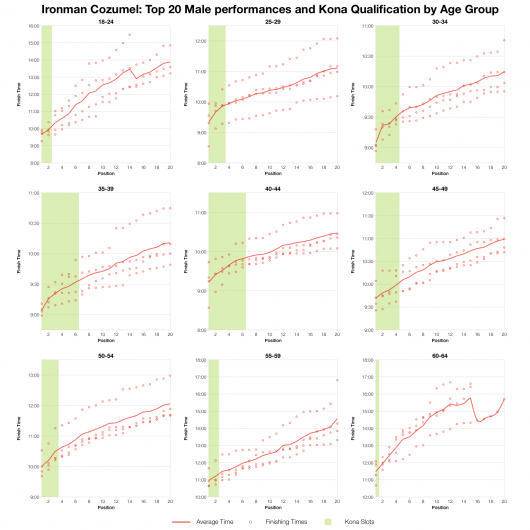 As I introduced in Ironman Arizona’s pre-race analysis we can also look at individual age group finishing distributions to see how the trends vary with age and to get a sense of competitive times within those age groups. 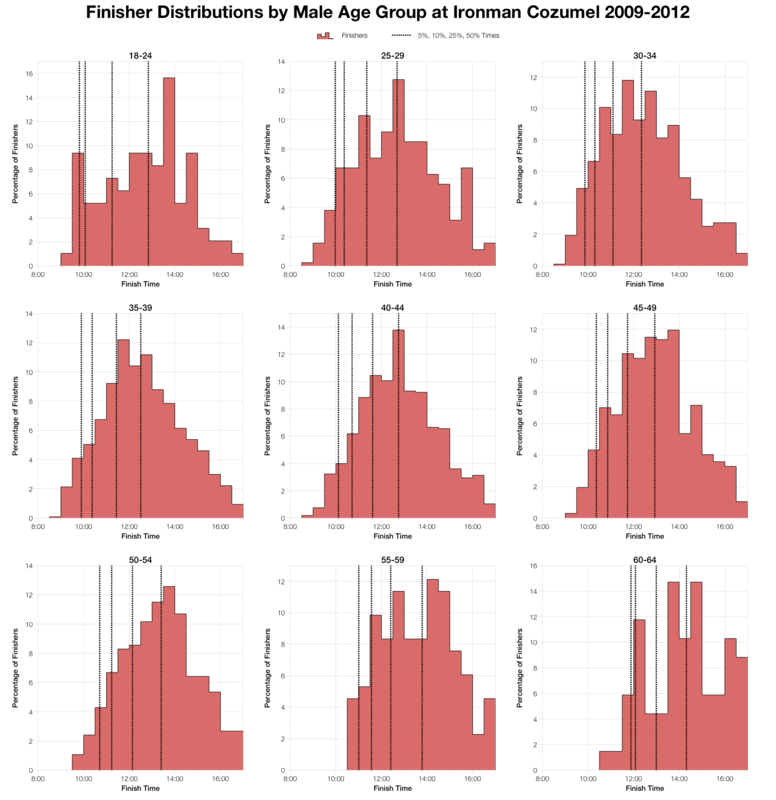 Those age groups with significant enough numbers tend to broadly reflect the overall race pattern and as before we see that times gradually slow with age. 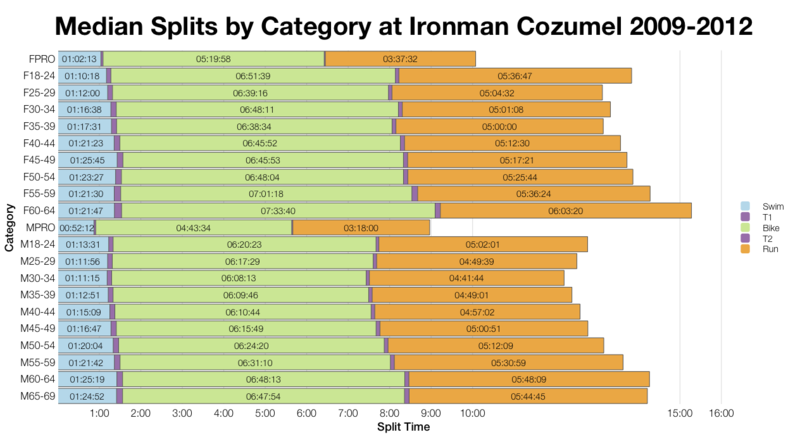 The median splits for Cozumel follow the pattern we’d expect based on the distributions – Cozumel is very slightly faster than the general North American numbers. Athlete numbers are taken form the start list on the official Ironman Cozumel website. There are 50 slots available in total and unusually it’s M35-39 that is the largest age group. 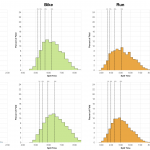 Actual allocation will vary depending on the final number of starters on race day. 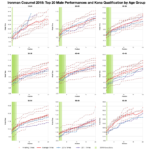 The average finish times of the top 20 athletes within each age group are raised slightly by the distinctively slower results of 2012 (generally the highest red dots on these graph). Of course a slow year can happen, but the remaining times tend to group more closely. For men in their thirties times in the region of 9:15-9:30 or better tend to qualify, while for those in their forties 9:30-9:45 is the more typical range. The women’s results are more widely spread making estimates harder, but close to the 10 hour mark works from 30 through to 45. 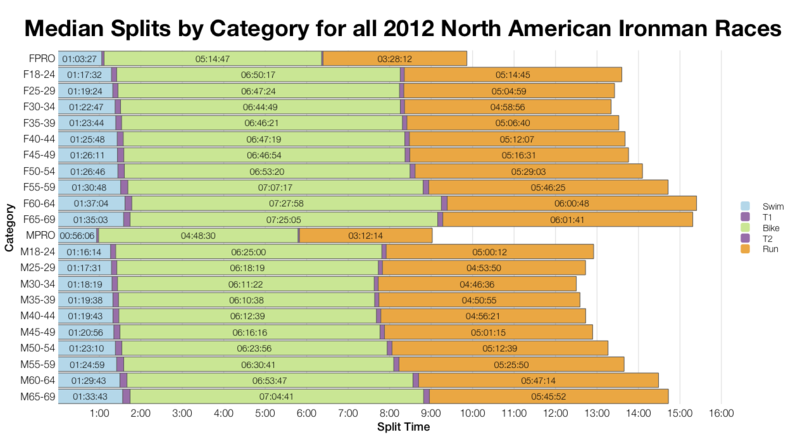 Places are what matter and if conditions match 2012, times will be slower. Cozumel gives us a good example of the limitations of estimating qualification requirements. While times may tend to fall within certain ranges, it doesn’t take much to displace them. I try to indicate the full range of past results so while we may take averages or other measurements to estimate cut offs we can also recognise that these estimates may be drastically off. There is no sure thing, it’s what happens on race day that counts. I’m still on my honeymoon as this goes live, but I’ll be back in time for Ironman Cozumel. A full race analysis will follow next week (as will a look at Arizona’s results).